We wanted to collaborate with our friends at Gravi T Climbing, who organise the wonderful Suru boulder fest, to do a climbing, mountaineering & acroyoga trip to Ladakh. Plus a road trip as well! And obviously we want our community members to come and take part, in whichever bits suit them – climbing, mountaineering, acroyoga or just the travel bit. We’ll cover some beautiful terrain on the trip, monasteries, lakes, the magic of Ladakh. Aug 25th: Leave Delhi bright and early, ~ 6 AM, and drive to Jammu. 12 hr driving day. Aug 26th: Leave Jammu bright and early, ~ 6 AM and drive to Srinagar. Not a long driving day, about 8 hrs, so should leave time for a little sightseeing in Srinagar. Aug 27th: Drive to Suru, about a 6 hr drive. A beautiful drive, and plenty of time to enjoy the landscape, get in at a reasonable hour and settle in, and have time for an afternoon / evening of climbing and acro. Aug 28th & 29th: We stay at Suru, enjoy the Boulder festival, and climb and do acro. Two days of just being, no driving, camping out, meeting people from all over. Doing what you feel like – climbing, acro, reading. Just being. Aug 30th: Leave for Leh bright and early, about a 250 km drive, so 6-7 hrs of driving, but also a beautiful and scenic road with monasteries, so we’ll stop along the way and do a little cultural sightseeing. The goal is to enjoy the drive and sights like Alchi and Lamayuru. 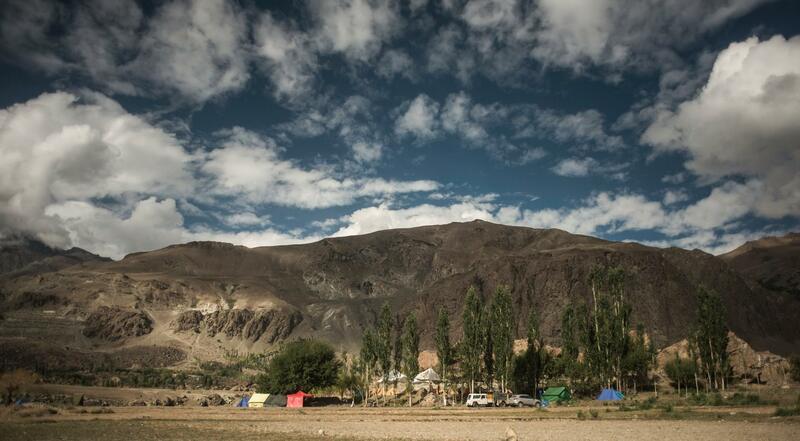 Aug 31st: Take a day to take in the sights and sounds of Leh, walk around. We’ll talk to our friends in Leh about publicising a free intro to acro workshop, see if we can get people there interested in learning acro! Ideally seed a little acro culture if we find folks who are curious and take to it! Sep 1st: Leave for Stok village bright and early in the morning, ~ 6 AM. It’s a short drive, so our goal is to set our body clocks a bit, get from Stok village to Mankarmo, about 5 hrs of hiking. Set up camp. Sep 2nd: Mankarmo to Base Camp. A short day, 3 hrs, but altitude, so keeping it relatively light. Sep 3rd: Acclimatise and rest at Base Camp. Sep 4th: Push to summit. A long day, 10-12 hrs of mountaineering. We will be on a glacier, so crampons for sure, and possibly harnesses and ropes, ice axes. We’ll get more beta in the upcoming weeks. Sept 5th: Back to Stok village and Leh. Another long day tramping back out! Tired and bedraggled after our days and days out in the Ladakhi wilderness! Sept 6th: Rest in Leh. Vegetate, hang out at German bakeries, drink copious amounts of coffee, read, eat greasy but delicious tourist fare. Paradise, and plumbing, yayyyy! See if we have energy for some acroyoga. Sept 7th: Drive to Manali. Quite a long driving day, about 13 hrs. Again, we’d leave early so that we can make it in in good time to have dinner at a nice place in Manali, sleep early. Sept 8th: Drive to Delhi. Depending on how we feel, we can leave a little late, maybe have a nice breakfast in Manali and then push, make it back to Delhi before midnight. – You can fly in and out, driving is optional. You’ll save ~3 days by doing this. If there are enough folks wanting to leave earlier, one carload could return earlier to Delhi as well. – You can choose between climbing, acroyoga, mountaineering, or just the road trip bit. It’s an open experience, so make of it what you will. Spend longer at Suru, or longer in Leh, etc. – This is not a guided tour, but rather a club trip with friends. So you’re just paying for fuel (~ 4000 rs), acco and food. – We get a 25% discount for Suru, meaning that we pay about 1800 per day for Suru, and then 500 per day in Leh, plus whatever we can rustle up in Manali and Srinagar. It’s basic acco the entire way though, no luxury! – You need to be a practicing climber, acroyogi or mountaineer to participate. We expect everyone to be strong and self-reliant, self-aware, so if you have limited experience, this is not for you. If you think you can pull your own weight and contribute, do participate.